First significant uptick year over year for iPad for the past few years. Total revenue high end of guidance - 7% increase yr over yr.
7+ sales up dramatically yr over yr vs 6S+. 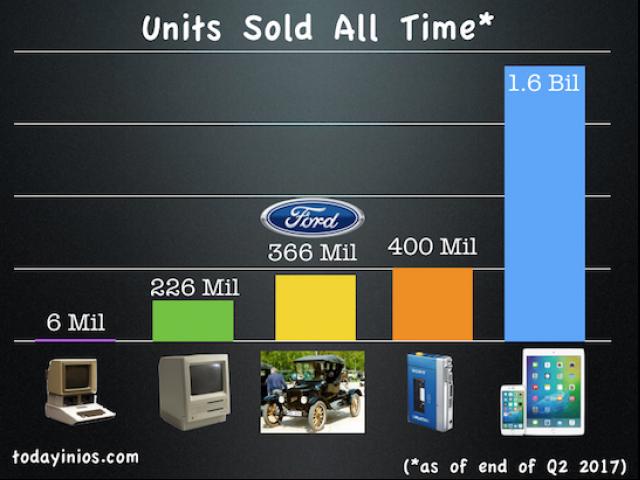 Over 1.2 Billion iPhones sold all time. 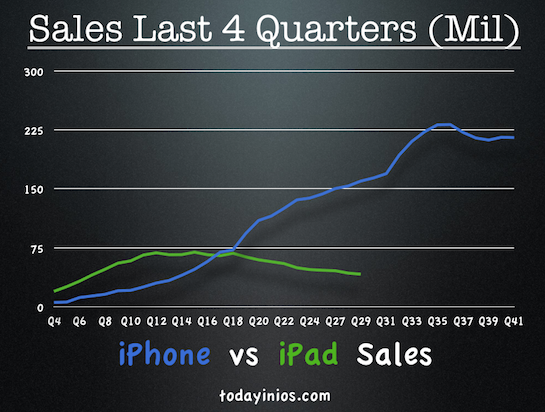 iPad sales up over 15% yr over yr.
Apple Watch over 50% in June quarter (assumed vs previous quarter). 98% satisfaction for AirPods and still not meeting demand. $11.7 Billion back to investors. $4.5 Billion on repurchases on Shares. Next Dividend of $0.63 per share will be paid on August 17th to owners of Apple stock on August 14th. Apple is Projecting $49 Billion to $52 Billion in the current quarter. 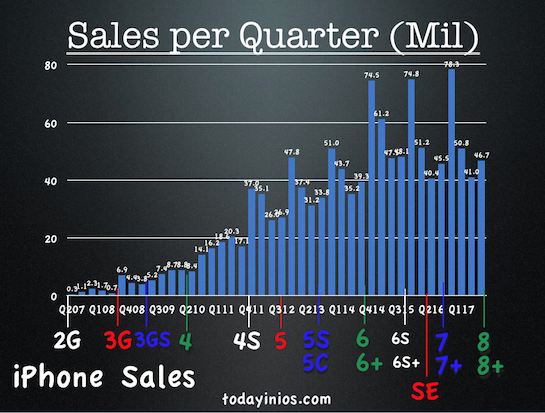 Last year it was $46.9 Billion in Revenue for the same quarter. 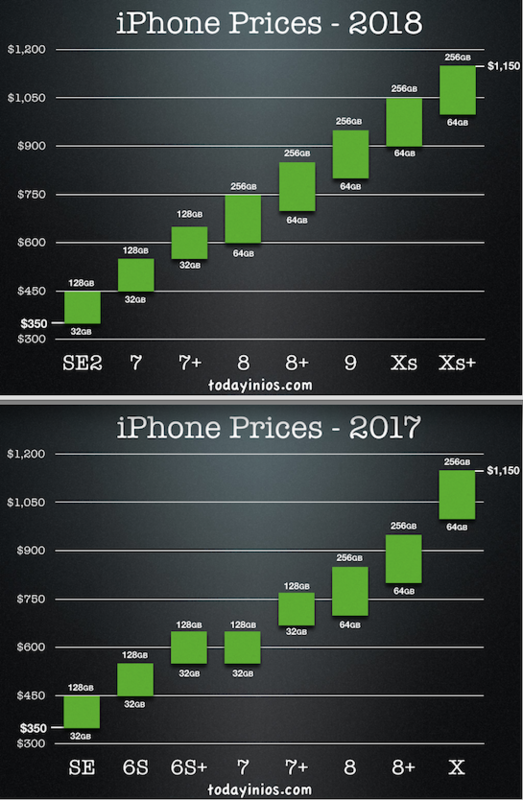 The projected increase in Revenue for the yr over yr quarter points towards a new iPhone launch before the end of September. 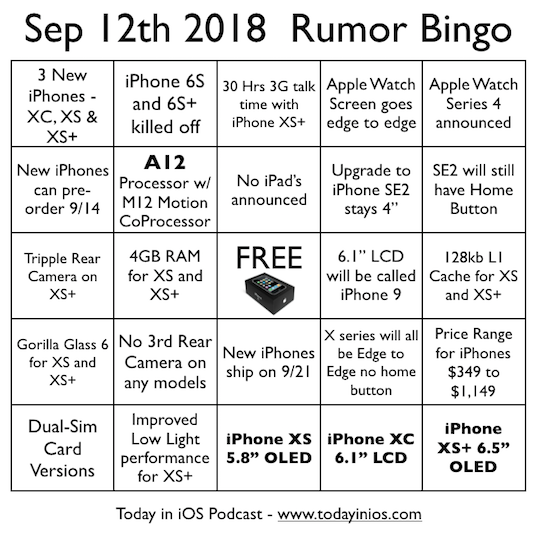 Checking with inside sources - code names - PC, FC and TC - I was able to confirm that Apples fall event to announce the next Gen iPhones will be Wednesday Sept 7th at 10:00 AM PT. Two new versions of the iPhone (4.7" and 5.5") will be announced along with other updated products. The new iPhones will be available for pre-order at 12:01 AM PT on Saturday the 10th. 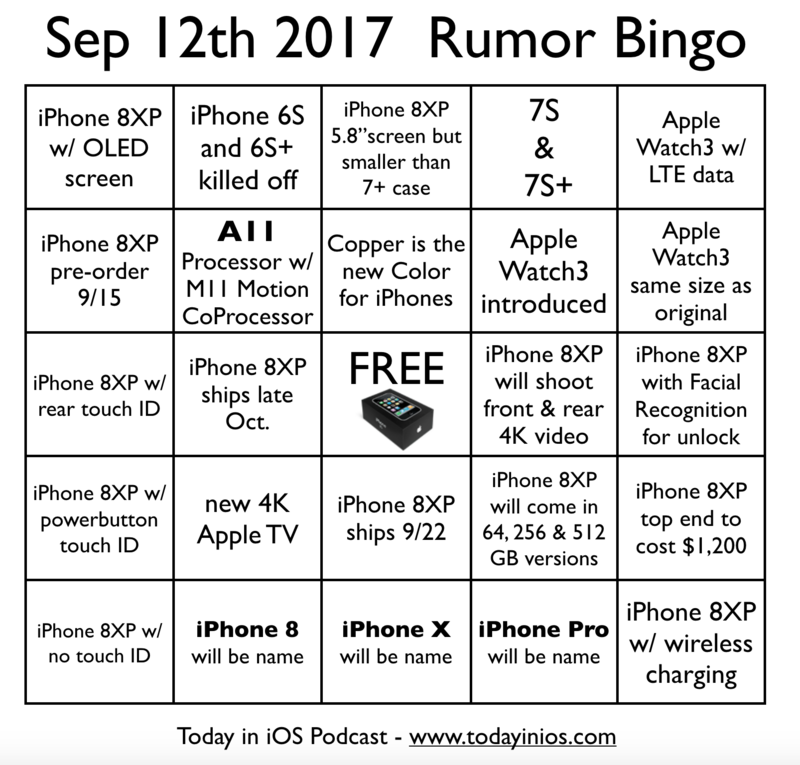 And iPhones will start being delivered (put in customers hands) on Friday the 16th. Sep 16th - Next Gen iPhones in customers Hands. The Sept 7th date makes a lot of sense - as it is also the first day of CTIA Super Mobility 2016. This goes along with past Apple events timed perfectly to take the wind from the rest of the industries sails. Much more info on this on Ep 400 of Today in iOS - going live later today.